5% of Our Donations to Haiti Artists | The New York Baroque Dance Co.
will go to Dance to Save Lives in Haiti. 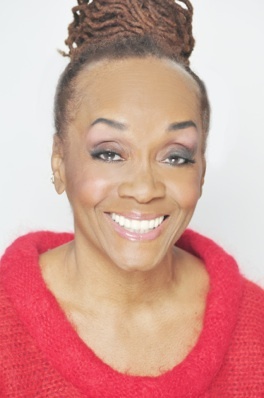 Marcea Daiter (pictured above) and I have been friends since the 1990’s and share a passion of dance history. Marcea’s research into the dances of colonial Haiti has inspired our work together in classes, workshops and performances orbiting the historical figure of the Chevalier de Saint George as well as unearthing information about standard French social and theatrical practice in colonial Haiti. The main opera house in Haiti employed racially mixed casts and when the Revolution came (1791-1804), many of these artists migrated north to the US, traveling and performing in the southern coastal states like Florida and the Carolinas as well as Louisiana. Today’s artists in Haiti are struggling for materials and even the very basic necessities; we would like to help them. Honoring our work together with Marcea Daiter, the board of The New York Baroque Dance Company has decided to contribute a portion of our end of year fundraising drive to “Dance to Save Lives”, a Haitian arts organization. Marcea has guided our goodwill to the Haitian artist, Dieufel Lamisére, Artistic Director/HaitiDansco. He has been a colleague of Marcea’s these past five years. He opened several free schools under the organization “Dance To Save Lives,” a non-profit project that offers free professional dance training, art education and shelter to children and disadvantaged youth from the poorest areas. In addition to dance training, the group’s members have been provided with daily meals, transportation costs and merit-based scholarships. Mr. Lamisére has also offered shelter for those temporarily in need. Out of his personal funds and with the help of some of the money he raised for DTSL, Mr. Lamisére significantly contributed to school expenses for several of his ‘children.’ Unfortunately, circumstances have caused him to move from Jacmel to another location, Ville Du Cap-Haitian, North Haiti and he is starting from scratch. Last summer, some of Marcea’s colleagues went to Haiti and participated in a Haitian dance workshop he sponsored which was a success, but between the recent hurricanes and earthquakes, life in Haiti has become even more challenging for Mr. Lamisére and his organization.